﻿Greenbuilt is known for designing and building elegant and richly detailed buildings with a focus on sustainability and healthy living. We take joy in creating buildings that are both functional and beautiful, authentic and soulful. Our goal is to create spaces vibrant yet comforting: able to enrich the individual, support positive relationships, and foster a strong sense of community. We build and design custom homes, cottages, kitchen cabinetry and furniture. We invite you to become acquainted with our unique craftsmanship, customer service and environmental stewardship. Please feel free to contact us regarding your project, or for any inquiries. Visit the Sati Saraniya Hermitage to see the beautiful Temple we recently designed and built. 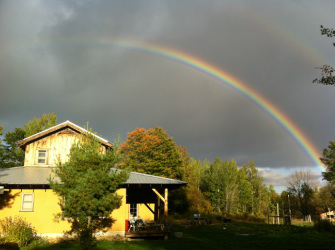 custom homes, green building, eco friendly, custom kitchens, custom cabinetry, custom furniture, green homes, straw bale, natural building, timber frame, healthy homes, custom design, sustainable building.